1. The smell of burnt rubber could be slipping drive belts or misplaced loose hoses that might be rubbing against rotating accessory drive pulleys. Do not reach in if the engine compartment is hot. 2. The smell of hot oil could mean that oil is leaking onto the exhaust system. To verify the leak, look for oil on the pavement or smoke coming from the engine area. 3. The smell of gasoline is likely the sign of a gas leak in some area of the vehicle such as a fuel injector line or the fuel tank. Any smell of fuel can result in a possible fire hazard, so immediate attention should be given. 4. The sweet smell of syrup may be a sign that your car is leaking engine coolant from a leaky component related to the car’s cooling system. Do not open the radiator cap when it is hot. 5. The smell of burning carpet could be a sign of brake trouble and a safety hazard. Have your brakes checked right away, especially if this smell is happening during normal driving conditions. 6. The smell of rotten eggs is never a good one and, if you smell it coming from your vehicle, it could mean a problem with your catalytic converter not converting the hydrogen sulfide in the exhaust to sulfur dioxide properly. This smell can also be attributed to a poor running engine, causing the catalytic converter to become overloaded and fail due to meltdown. “When you smell any peculiar odor, you should not ignore it. Instead bring your vehicle to a professional service technician that you trust to get an informed opinion on the nature of the odor,” concluded White. 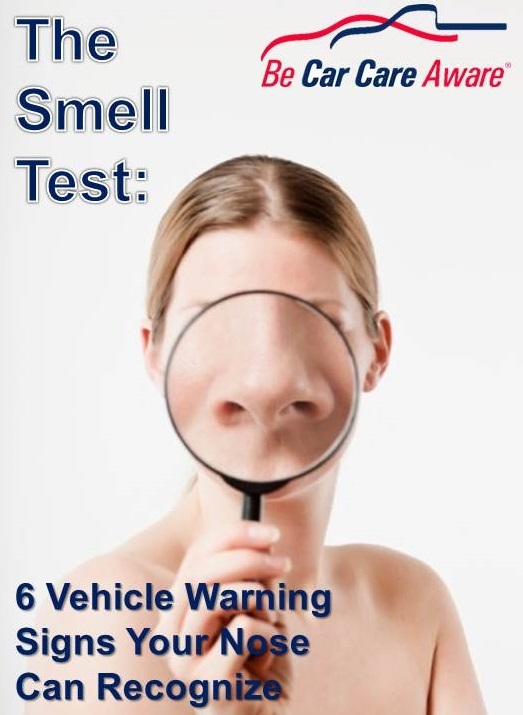 Most vehicles start out with a “new car smell,” but there are other specific odors that motorists should never ignore.